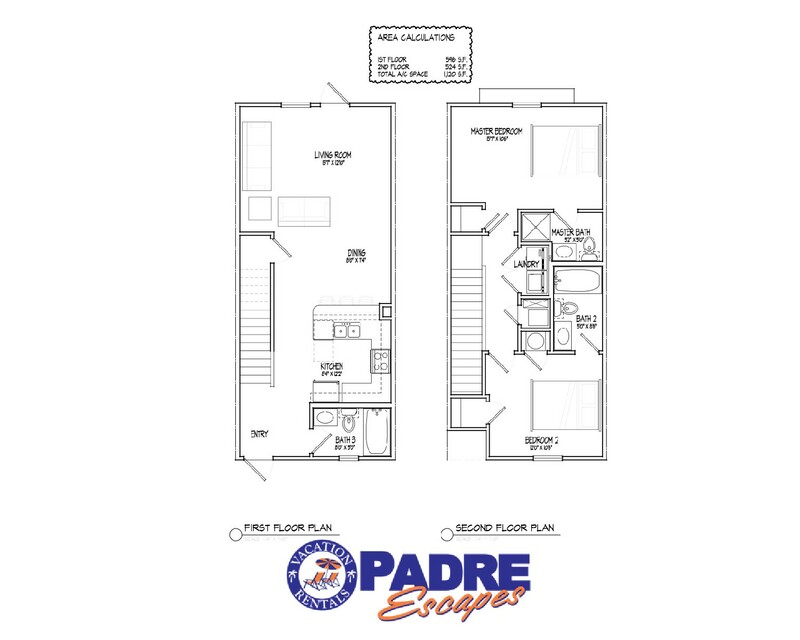 Address: 15126 Dory Drive Location: Corpus Christi Type: Townhouse Area: 1120 Sq.Ft. Upon arrival I check in and it was as easy as 1,2,3. Since this place was a new building and not yet on Google maps the gentleman was very helpful and showed me exactly where it was located which is 300 feet from check in. He handed my paper work on the condo and which was the WiFi password, also with local attractions, (which I feel is helpful, if you don't know the area) However, the condo was in very clean condition just as the photos show. the kitchen had plenty of utensils to use, also blender,and coffee pot.There was also extra pillows(2) and lines for extra guest in the closet.Also, I like that there was three full bathrooms, I think there was enough towels but do recommend taking more. The pool was clean and maintained, there where plugs out by the picnic area so if you need to charge your phone or take a radio. Bathroom where near the pool side. The playground area I like a lot because it was in the same area, and the condition was taking care of. Over all the place was great when you have children or just want to relax. Great to hear you enjoyed your stay so much. We look forward to having you back. The rental was more than I expected. It is well maintained, has the necessary essentials, and beds are comfortable. Our girls loved the swimming pool after a hot day at the beach. The beach was less than a 5 minute drive. Will stay here again. The keyless entry was wonderful. The kitchen was well stocked. The beds were comfortable. The only change I would make is more towels. for more towels and probably should have.The check in was very smooth. Jeremy and Sage were great to work with. Nice condo. Should have a vacuum cleaner. Was hard to keep floors clean with what was there. Also, there was no place to walk. Had to drive someplace to walk. Thank you for the feedback. We're having all owners add a vacuum to their units now. Thank you again for the feedback. This condo was in a convenient location and easily accessible. We really enjoyed our stay at Nemo Cay. Everything was new and in good condition and clean. I brought extra paper towels, soap, etc., but didn't need it. My only "complaint" was that the floors were just a bit gritty under foot, but I supposed it is hard to get all the sand up. Pool area was really nice and the kids loved it. Short drive to the beach. Would definitely stay here again. Thank you for the feedback, that sand can be hard to get up but we appreciate you letting us know and we will work on getting it done better. The unit was very clean and well kept. Everything we needed was provided. Check-in and out was quick and easy. This was my first time visiting Corpus Christi. My family and I enjoyed ourselves immensely and the accommodations were 5star. We are sure to come back. There were no problems, however I would recommend mosquitoe repellant to anyone planning a trip there. This however was the only issue if any. We made many memories on this vacation. Check in and out were fast and convenient. You can't beat the properties location the beach was so close by and the fishing piers too. Loved the unit. Spacious and had what we needed to live there for our time. We will most likely rent again on our next trip in 2019. Thank you so much. It was a good place to stay. We really enjoyed our stay at this beautiful town home, it was very spacey, clean and perfect.. We had our little BBQ right out side the patio. The kids enjoyed the pool so much we had a blast.. so close to the beach as well.. I would love to come back and rent this house again..
Everything was great we can't wait to come see you all again. Rental was nice and clean. We loved staying at this property. It was the perfect place for families with small children! The only complaint was that there are no window coverings in the bedrooms, so everyone woke up as soon as the sun did. This was a great experience ! We drove from dallas Texas to celebrate birthdays ! Pretty close to the water ! Excellent amenities . Great and friendly staff we arrived minutes before closing . The staff was wonderful check in and out process fast! Will be back ! The resort was great. Everything was clean and organized. The Pool was an added pleasure with grills for cooking! The resort wasn't far from several beach locations. We will be going again in the near future! This was our first time staying at a resort in corpus. The sleeping quarters were very upkept with modern fixtures. Bedrooms were spacious and comfortable. Definitely going to stay here again. Beautiful place and comfortable! A bit small regarding parking space and someone actually took our parking space at night. We had to park outside, but other then that it was great.